This year, JACK IN THE BOX is going to be held in August, as JACK IN THE SUMMER. Many thanks to Nanani for the translations! Kyaaaa~ Finally! 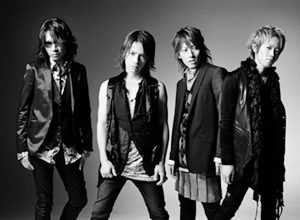 After the long wait, L’Arc~en~Ciel will release a DVD of their concert in Paris, which was held on May 9, 2008 as part of their L’7 Trans Asia via Paris Tour. The DVD is slated to be released on May 20, 2009. I haven’t seen the setlist of the DVD , yet, but I hope that it will have lots of their old songs. Hehe. HYDE has decided to release his first greatest hits album too early. It will include 17 tracks chosen from his three albums – Roentgen, 666, and Faith. One of those 17 songs is his English version of the song Glamorous Sky (originally sung by Mika Nakashima). HYDE and K.A.Z. will release another single just after releasing “I Gotta Kick Start Now” which I didn’t really like that much. Their next single is entitled “Evanescent” will be released on May 13, 2009. First press limited edition comes with a DVD and an external bonus feature. So hopefully, it’s a KAZ song. Hehe. 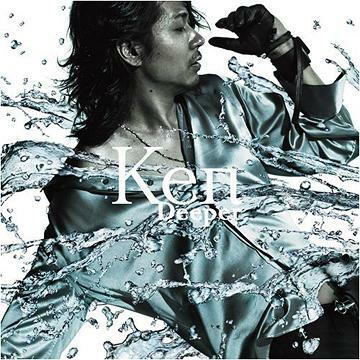 Ken just released his single “Deeper”. And! He will release his debut album on April 22! ^^ Its title is “In Physical”.